So, you have booked your flight, finalized your hotel, got all the shopping done for your trip to the beautiful island of St.Lucia. But wait, something is missing, you forgot to plan your stay. What to do, places to visit, beaches you must try and the best restaurants. Don’t you worry, I have got you covered for your 7-day adventure to St.Lucia. You have just landed in paradise, hopefully, you got an early flight in and you are somewhat rested from your trip. This is your vacation so you can’t afford to throw any days away on resting. What can you do that requires the least energy but still lots of fun. Wait I know, get the nearest beach. Most of the resorts in St.Lucia are situated on beaches, just to name a few, All 3 Sandals in St. Lucia, Jade Mountain Resort and Spa, The Landings resort and Spa and so much more. If you decide not to stay at a hotel, there are many villas with beaches just a 5-minute walk away. So get out your bikini, some sunscreen, and some cash because you are about to soak in some rays and have some cocktails from the beach bar. Now that you are well rested from your trip, it is time to get into some real fun. I think this is something everyone should do on their trip to St.Lucia, especially if you are someone who loves hiking and loves a challenge. Get your workout gear ready. This 4 hike up the Gros Piton will be fun but strenuous. Two hours uphill and 2 hours down. Once you are done with your Gros Piton climb head on over to the Piton falls to soak those sore muscles in the warm water. Make sure you stand right under the falls so you get that feeling of a Swedish massage with the massage cost. Once you are done at the falls depending on the tour company you choose, lunch will be included. Make sure you get in some of that local food with the real Caribbean spices. Trust me you won’t regret the flavor. St.Lucia is famous for its lush green land, its beautiful beaches and the friendliest of people. But did you know that this little island also grows its own chocolate, and guess what we make this delectable treat as well. How exciting would that be to make your favorite dessert? There are many resorts that offer the chocolate tours like Calabash Cove, and the hotel chocolat itself, so you can always plan your day around that. Get in some lunch at the Hotel Chocolat. Almost everything is served with a hint of chocolate, and their desserts are heavenly. After a day filled with chocolate, head on over back to your resort and have some cocktails or something a bit stronger, hey you are on vacation. Get ready for the next day of adventure in St.Lucia ahead. You have had 3 days of excitement and paradise. What shall you do on your fourth day of adventure in St.Lucia? Hey, here’s an idea, let’s ditch this island for a day and visit another. The island offers two island tours with different tour companies. Take the day and sail away to Martinique. Have a full day of adventure on a 10-hour catamaran tour where you can enjoy some sightseeing of dolphins as you sail the Caribbean waters. Get some shopping done at one of the biggest malls in Martinique and take two hours to just explore the island on your own. Want to try another island, fly on over to the Grenadines for a day in the sun. This tour is only offered by one company on the island, Serenity Travels. Enjoy a day of fun in the sun. Start your day off with a quick 20-minute flight on over to this amazing island. Get yourself ready for a champagne breakfast on board a catamaran tour. You can also enjoy some snorkeling, with the gear provided to you. Just bring your swimsuit and your amazing self. If that isn’t enough you can enjoy an all-day bar, just for you. After your day of adventure in another island, head back on board to your flight back to St.Lucia, and get ready for another day of adventure. Being on vacation, you can pretty much do anything you want. Why not be a kid again and head on over to pigeon island water park. Enjoy a day of doing a full-on obstacle course. Get your adrenaline going. You have various options that you can choose from, whether you want to spend the full day with a meal included or just half the day. You can even just spend as less as two hours at the park and continue onto another activity on Pigeon Island. The great thing about being at Pigeon Island is that there is so much to do. If you are a history buff you can visit the Pigeon Island National Park, where the British and the French fought over this little island. Get to know a little more of the island, like how it got its name, how many times it was fought for, and how the English won. So much history in one little island, you will be amazed on your trip to St.Lucia. This one is great because you can use it if you are just on the island for the day, coming from a cruise ship. Also if you are staying at an Airbnb or a not so luxurious resort this would be a great way to live large for the day. Spend a day at one of the many luxurious resorts in St.Lucia. Ti Kaye Resort and Spa is known for a day to just being spoilt. You can get to have access to the beach for the day, and book lots of activities like snorkeling and paddle boat. Also, enjoy a spectacular lunch, all included in the day pass. I know this is a really hard day. Time to get back to reality, going back to the 9 to 5 workday. Let’s see if we can squeeze in a little excitement today, or maybe just relax. Hmm, what can we do today? Depending on the time of your flight, there are an array of things that can be done. Try some last minute shopping in the Castries Market, where you can also stop for some great creole food. Don’t forget to buy that real chocolate so you can make your chocolate tea on those cold wintry nights. Spend the morning at the beach and get in that last minute tan that you can brag to your friends about once you get home. Take lots and lots of pictures, so you can have memories of your time on paradise island. Walk around Castries or close to the town that you are staying and mingle with the locals for the last time. They will be your best memory. So much to do on your travels to St.Lucia but so little time. There are things like visiting all the different waterfalls , or going to the marina at Marigot Bay. Get a Dine Around St.Lucia pass to enjoy some of the best local food on the island from various participating resorts and restaurants. Don’t you worry, there will always be the next visit, weather you come to spend a day with us by cruise ship or spend another week with us, we will let you know everything that our beautiful island has to offer and more. 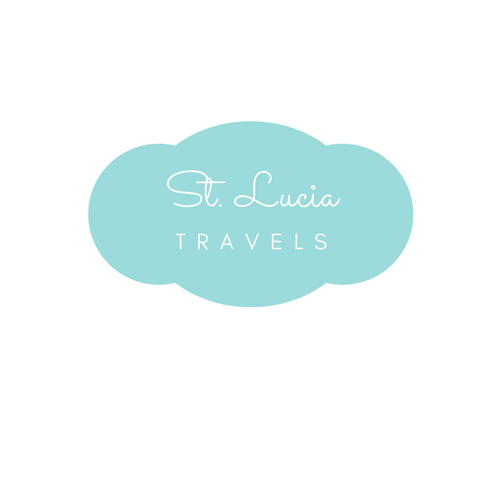 Don’t forget to let us know about your travels to St.Lucia and what was your favorite thing to do on the island.